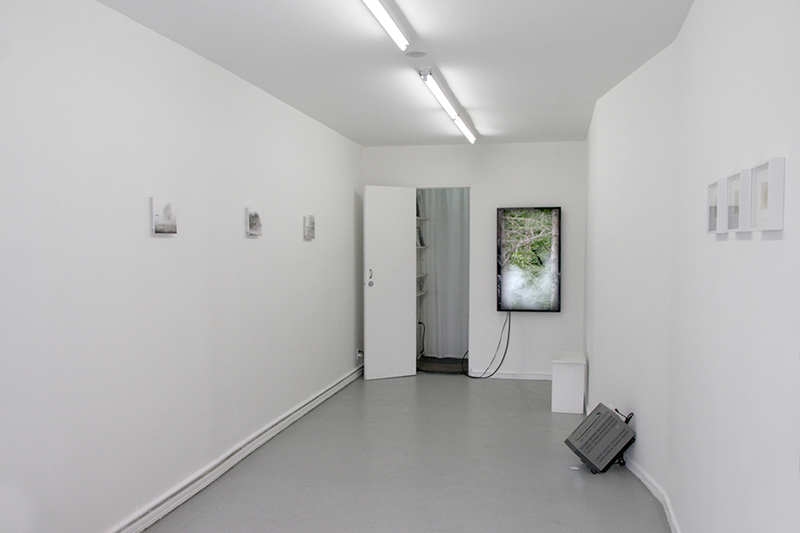 presented as part of the solo exhibition ‘The Persistence of Traces‘ at Audio Visual Arts in New York City. A video of the reflection of a tree on the water surface with autofocus set on the camera. The mirror provides a window into a scene that operates in a manner similar to memory, oscillating in and out of form from visual noise. 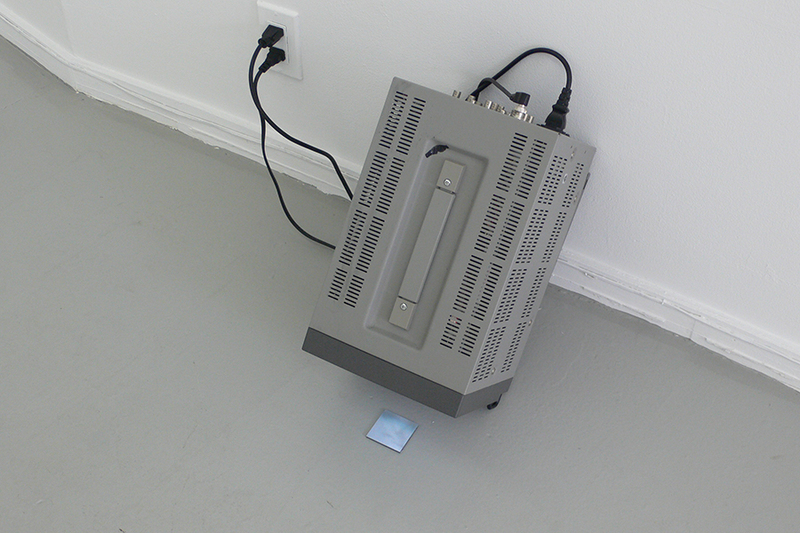 The monitor hints towards the mediation of technology that mirrors memory in its alteration of the source. There’s a little nod to the long history of mirrors in cinema that are used as a film within a film, also to the surveillance/broadcast monitor and the partial story told by surveillance video images. 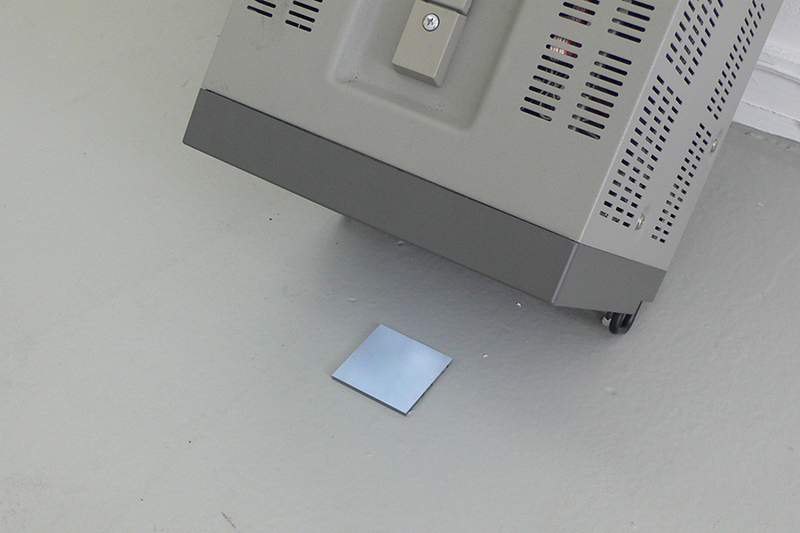 In the same way in which the image reflects off the floor (and there is a reduced physical position from which it can be viewed because of the angle of reflection) the sound connected to this video resonates from behind the door on a speaker facing the ceiling, positioned in such a way as to reflect to the area where viewing the image is possible.